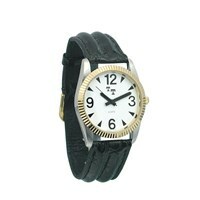 MaxiAids features exquisitely-crafted watches for men and women suffering from low vision. Many of our low vision watches feature big faces and bold numbers for easy viewing, with your choice of white on black, black on white, or even yellow faces for maximum contrast. Illuminated low vision watches are great for nighttime use. 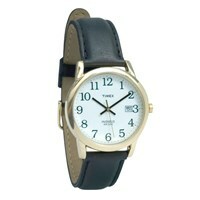 Imagine how nice it will be to tell the time without having to squint or strain to see your wrist watch! 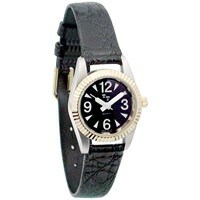 Whether you're looking for a stylish and modern chrome watch or the classic elegance of a leather-band watch, Maxi-Aids has the right look for you. What should be a simple glance at a wrist watch to check the time can be difficult and frustrating if you can’t see the face on analog watches or LED display on digital watches clearly. The smaller faces and numbers on standard wrist watches can be troublesome for seniors experiencing diminished vision as a natural part of aging and people facing vision loss due to age-related macular degeneration (ARMD), retinitis pigmentosa and other low vision conditions. Both men’s low vision watches and women’s low vision watches are designed with big, bold numbers on oversized faces and thick hands to make them easier to see. 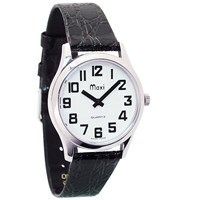 Whether you’re looking for low vision gift ideas, or simply seeking greater convenience and independence in your own daily life, when you shop at MaxiAids.com, you get the largest variety of the finest quality low vision watches anywhere. 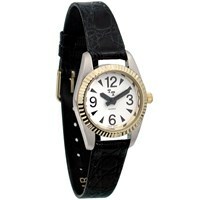 We have large dial blind watches with bold black print on a white face, and bold white print on a black face, as well as high-contrast black print on a bright yellow dial. 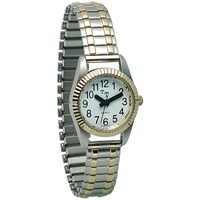 Some models of our easy to see watches feature an illuminated backlit dial for better nighttime viewing. 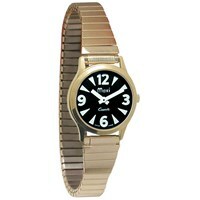 There are big face watches with reliable Quartz movement in either elegant gold or chrome finish and your choice of leather bands, leather wrap-around bands, expansion bands or bracelet bands. Low vision pendant watches and low vision pocket watches hang stylishly from matching chains hung around the neck, keeping accurate time always at your fingertips. 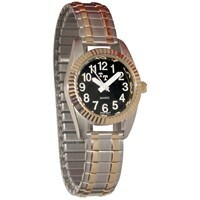 In addition to having a large analog face and a calendar on the LCD lighted display, the low vision atomic watch from MaxiAids sets itself – and even accounts for Daylight Savings Time. Keep one of these radio-controlled low vision watches on your wrist and you’ll never have to set another wristwatch again! 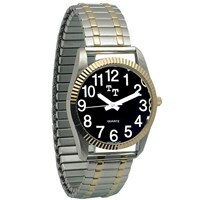 Timex Easy Readers are water-resistant low vision watches that offer classic understated styling with crisp black numbers and a one-touch Indiglo watch nightlight. 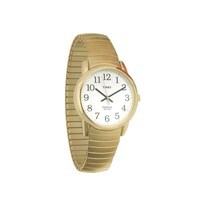 One of our popular watches for seniors is the Ultima Mature Low Vision Watch, which in addition to having a big, easy to see dial features a large crown that’s easy for those with arthritis to grasp and turn for setting. Get the best of both worlds with low vision talking watches that in addition to having an easy-to-see face announce the time and have an alarm and talking calendar. 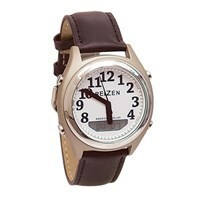 The Reizen Radio-Controlled Ana-Digit Watch is a great low vision sports watch for those with active lifestyles. So, why not discover the pleasure of telling the time without having to struggle to see the small face and numbers on your old wrist watch! 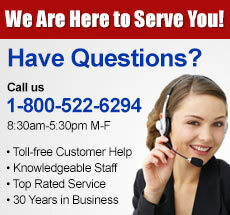 You can always call 1-800-522-6294 during regular business hours. One of our knowledgeable, experienced customer care representatives will be happy to help you choose a blind watch or answer any questions you may have about low vision watches for the visually impaired or any of the products for independent living that MaxiAids carries.